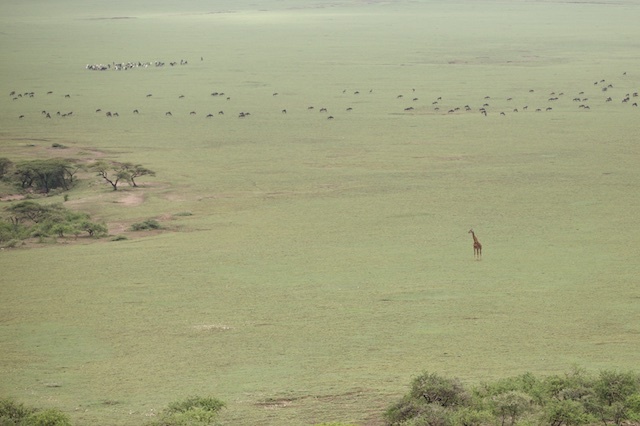 The Serengeti Plains are divided into two conservation areas – the Serengeti National Park and the Ngorongoro Conservation Area. 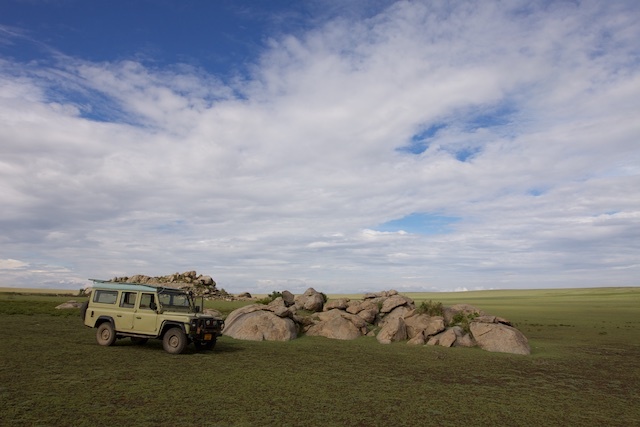 The Serengeti National Park provides full protection to all the wildlife, and humans are only permitted there as either researchers or employees of the national park, or as paying guests (tourists), guides and camp staff. 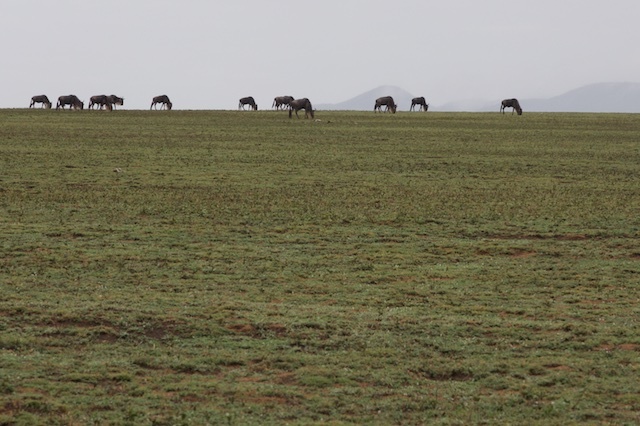 The Ngorongoro Conservation Area, on the other hand, is a multi-use zone combining full protection for wildlife with the accommodation of traditional Maasai pastoralists who may live there in their simple mud villages, sharing the grazing lands with plains game. They must tolerate any other protected wildlife, such as lions, which do threaten their cattle from time to time. Agriculture was banned in this area, although now it is tolerated within limits. 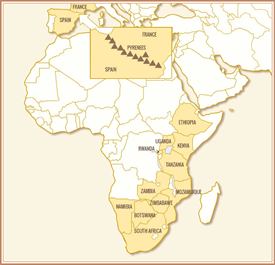 It is hard to know the exact facts and the populations of people and wildlife in the area. 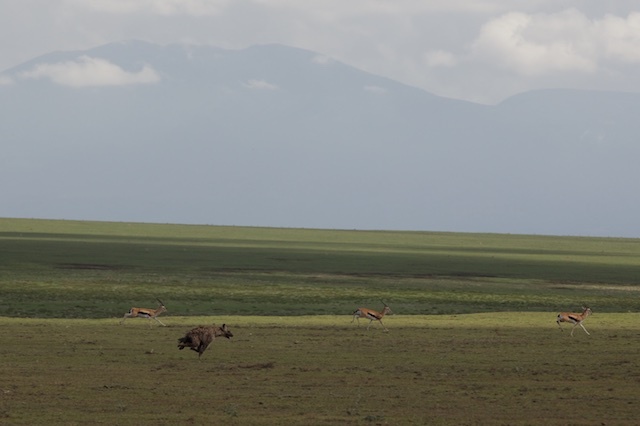 There are very accurate and regular counts in Ngorongoro Crater, but less frequent counts are conducted in the Plains. 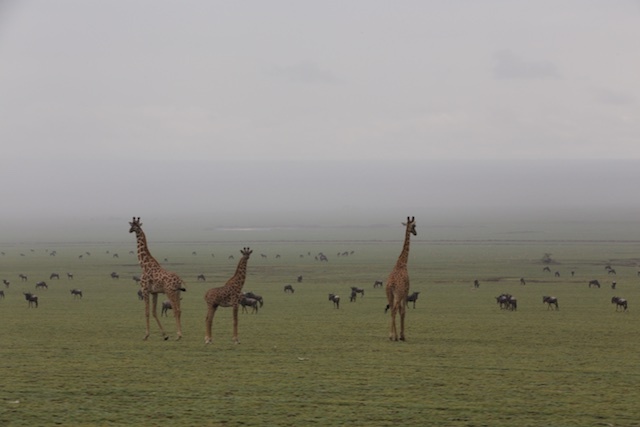 Just before Christmas (2014) I was on a safari with my family and friends in the Ngorongoro Conservation Area side of the Serengeti Plains. The first evening we arrived near our camp in a remote area and we encountered a male cheetah that had just killed a yearling wildebeest. It was a fantastic sight and we watched it until dusk. However during the following 2 days we saw hundreds of gazelles, zebra and wildebeest (prey), but we did not see or hear the calls (at night) of one large predator (lions, cheetahs hyaenas). 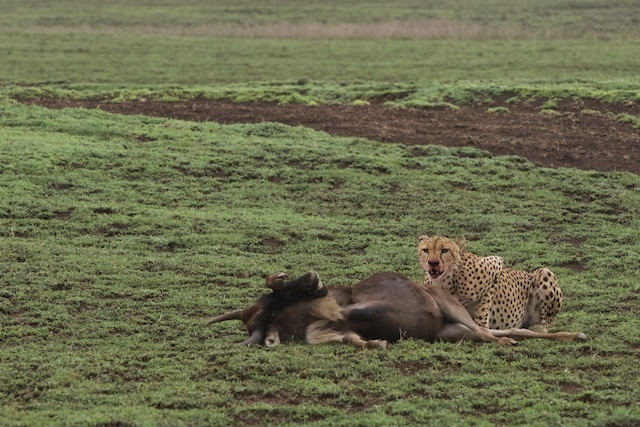 We saw several carcasses of animals, which most likely had either been killed by cheetah or died of natural causes. 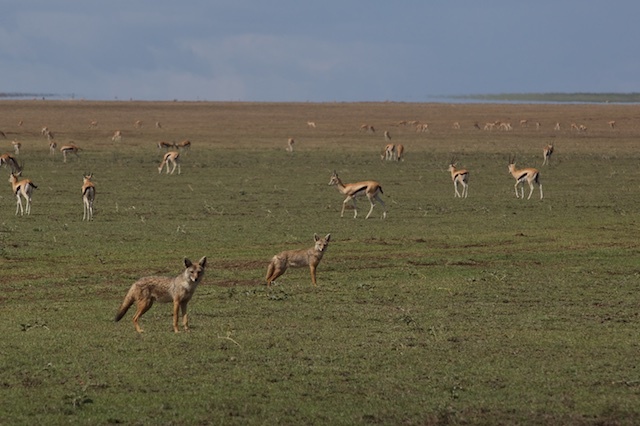 Of the small predators we mostly saw domestic dogs (living with the Maasai) wandering the plains, although we did see a few pairs of golden jackals. My own impression was that the predator numbers were considerably reduced since the times I used to camp here in the 1990s. 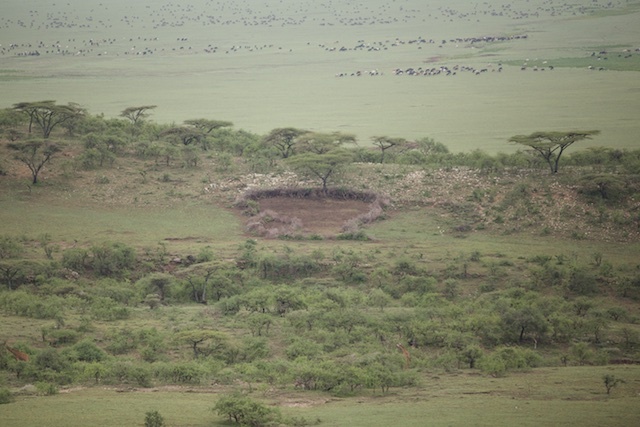 It is a known fact that many lions are still hunted and killed by the Maasai in this area, and this probably explains the lack of lions. However not seeing or hearing hyaenas or many jackals suggests that poison might be used to reduce predator numbers here. There has been a documented drop in numbers of vultures attributable to poison. 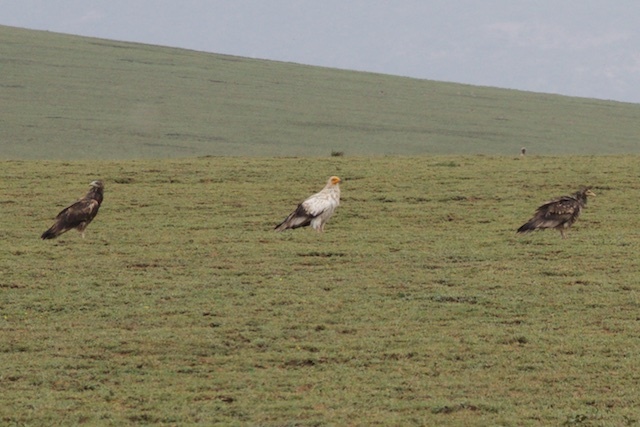 We reported the only recorded sighting of Egyptian vultures for the whole of 2014 on this safari! This is a worrying development, and I only hope that this was an unusual couple of days and not the norm.